Let’s face it, no one wants to take blood pressure pills. The blood pressure pills are great, however we tend to have so many side effects. There are some natural herbs and minerals that have been proven to help reduce the blood pressure. These herbs and minerals are fenugreek seeds, garlic, hawthorn, coconut water, and celery. Read on to find out how these miracle herbs and vitamins can decrease your blood pressure without medications. All of these herbs and vitamins can be bought over the counter. Garlic which is known as Allium sativum has been around for hundreds of years. Garlic is well known for its health benefits. Garlic is well known for its ability to decrease blood pressure, control anxiety, and lowers cholesterol. The study was done using Hawthorn 1000 mg capsules twice a day. The Hawthorn berry dosage One question that is often asked is,”How long does it take for Hawthorn to lower the blood pressure? During this study, it took 8 weeks to lower the blood pressure. As we all know, high blood pressure can be devastating. It is one of the leading causes of death in this country. High blood pressure damages your heart, kidneys, brain, and other systems. For men, high blood pressure can be very devastating because it causes impotence. Also, the medications that you take for high blood pressure can cause impotence. This is very stressful for men. Of course, no herb is going to help decrease blood pressure without other lifestyle changes. An individual can not expect herbs to decrease their blood pressure, when they have a really bad diet, or if they eat plenty of bad salt. Research has shown that garlic has over two dozen other health benefits. Garlic has been researched numerous times in the majority of the research has been positive for garlic. Garlic expands the blood vessels, and this action decreases the blood pressure. Garlic has a chemical in it called ajoene that prevents the blood from clotting. Garlic contains allicin that blocks the synthesis of cholesterol. Garlic is effective in controlling the blood pressure whether it is cooked or raw. Garlic is one of the first documented herbs to help health disorders. Garlic is one of the most researched herbs. The garlic that was used in this study was aged garlic. Positive results were seen taking just two capsules of aged garlic for 12 weeks. The side effects that were reported with garlic was mainly gastric disturbances. These side effects included burping, flatulence, reflux. High doses of garlic might interfere with blood thinners. Anyone taking blood thinners should see their doctor before taking garlic. Hawthorn has been used for hundreds of years to prevent and heal heart diseases, Hawthorn is a shrub The leaves, berries, and flowers are used in cardiovascular medicine. Hawthorns use goes back to the 1600’s. In fact, Hawthorn is used as a standard medication in Europe. The traditional use of Hawthorn was for diarrhea and asthma. However, the most evidence for Hawthorn is its effectiveness in treating high blood pressure and congestive heart failure. Hawthorn has been shown to have effects on nitric oxide and endothelial function. Hawthorn produces vasodilation. Vasodilation causes the blood pressure to decrease. The side effects reported for Hawthorn was dizziness, nausea, and gastric disturbances. Celery seed extracts have been shown in research studies to have a beneficial effect on blood pressure. Celery, known as Apium graveolens is a part of the Apiaceae family. Recent research has shown that celery has antioxidant properties and anti-inflammatory properties. ” Celery seed extract is a natural calcium channel blocker. Studies show that celery seed components produce a relaxing, dilating effect that lowers blood pressure. 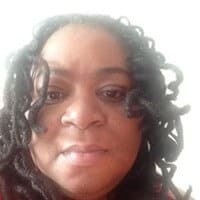 This appears to occur, at least in part, by blocking or antagonizing the flow of calcium into muscle cells lining blood vessels—similar to the action performed by calcium channel blocking drugs” according to this report“. How much celery seeds are needed to lower blood pressure? Celery seed has also been used to manage such disorders as brain, stroke, and vascular disorders. In some studies, the systolic blood pressure dropped as much as 38 points when taking celery seed. There were no side effects reported for celery seed extract. The dose used in the studies with celery was Celery Seed Extract standardized 75mg twice daily for 6 weeks. This celery extract is the equivalent of 530 stalks of celery. Obviously, no one can eat 530 stalks of celery. Therefore, the Celery extract is the best option. Caution should be used in pregnancy because high doses of celery seed can make the uterus contract. Also, don’t use celery if you have low blood pressure. Coconut water is a tropical drink. Coconut water comes from the inside cavity of the coconut fruit. Coconuts are grown in tropical areas, mainly in the Philippines. 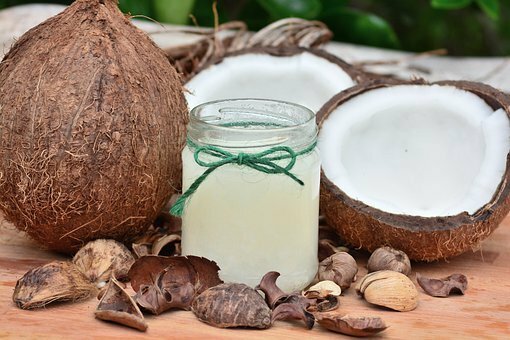 Can coconut water decrease blood pressure? According to a study that was done in the West Indian Medicine Journal, people who drank coconut water had a 24point reduction in their blood pressure. Coconut water has a plethora of benefits including potassium, magnesium, and tons of vitamins. Coconut water benefits include antioxidant benefits, cardiac benefits, and lowering of cholesterol. Increasing potassium in the diet has known to lower blood pressure. Coconut water has more than 600mg of potassium per serving. Coconut water has hydrating effects. The dose of Coconut water used in the study was 300 ml per day for 2 weeks. People with kidney disease or who are on dialysis should not drink coconut water because of the high amount of potassium. Also, there are certain medications such as Aldactone that are potassium-sparing. Potassium should not be taken with this med without doctor approval. Fenugreek lowers blood pressure because of its high potassium and fiber content. Fenugreek has a bitter taste so it is better to mix the seeds with pudding, applesauce, or some other healthy food. The dose used for Fenugreek was one teaspoon a day. 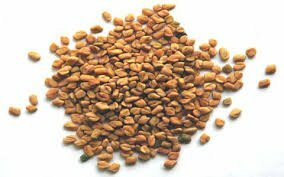 Fenugreek seeds side effects are mainly gastric such as diarrhea, upset stomach, and gas. Fenugreek can also decrease glucose levels. 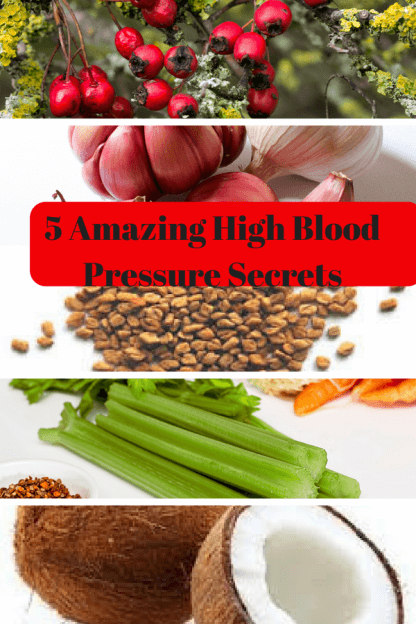 In this article, we discussed 5 amazing ways to lower the blood pressure. These herbs with lifestyle changes will dramatically lower your blood pressure. Try any of these options and let me know how you do. All of these options can be taken with blood pressure pills. I have had success with the hawthorn.